W. W. Norton & Company, 9780393239751, 283pp. The year is 1968. The world is changing, and sixteen-year-old Jon Mosher is determined to change with it. Racked by guilt over his older brother's childhood death and stuck in the dead-end town of Brewster, New York, he turns his rage into victories running track. Meanwhile, Ray Cappicciano, a rebel as gifted with his fists as Jon is with his feet, is trying to take care of his baby brother while staying out of the way of his abusive, ex-cop father. When Jon and Ray form a tight friendship, they find in each other everything they lack at home, but it's not until Ray falls in love with beautiful, headstrong Karen Dorsey that the three friends begin to dream of breaking away from Brewster for good. Freedom, however, has its price. As forces beyond their control begin to bear down on them, Jon sets off on the race of his life--a race to redeem his past and save them all. The novel is named for the town it is set in, and it has a tremendously vivid sense of place. Describe the town of Brewster. In what ways is the setting important to this novel? The author portrays a close friendship between two teenage boys in Brewster, a relationship less often portrayed than one between girls. Did you think that Jon and Ray’s friendship was an unlikely one? What made the two boys close? Did their relationship seem the same as ones you know between teen girls? 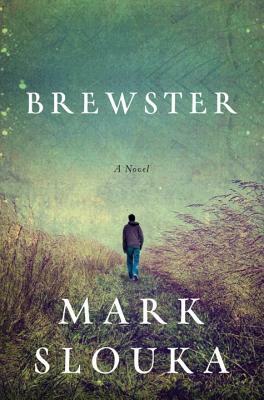 The narrator of Brewster is an adult Jon Mosher telling the story of his past. Why do you think the author made this choice? How would the novel be different if it were narrated by sixteen-year-old Jon Mosher in the present? Jon’s affair with Tina feels like a hiatus, a brief escape from his real life and troubles, and she never reappears in the story. What might Jon have learned from his relationship with Tina that he brings to the rest of his experiences in the novel? Brewster is set in 1968, a year after the summer of love and at the peak of the Vietnam War, but in small-town Brewster those events feel very far away. Describe the ways in which the novel evokes the late 1960s and brings that period to life. How has American culture changed in the fifty years since then in terms of racism, notions of acceptable behavior, and how teens get around and communicate? Discuss the character of Karen Dorsey. What draws Ray and Jon to her, and she to them? What do you think made Karen choose Ray over Jon? If you were Karen, whom would you prefer? Who’s your favorite adult character in Brewster? Falvo? Jimmy? Mr. Mosher? Someone else? Why? Brewster can be characterized as a coming-of-age story. Describe the ways in which Jon, Ray, and Karen grow over the course of the novel. What do they each learn about themselves, the nature of love, and the wider world? Describe how the novel treats first love. Did it feel real to you or remind you of the first time you fell in love? Jon’s parents and Ray’s father all have dark pasts, and both families are abusive, though the abuse takes different forms. Are there parallels to be drawn between Jon and Ray’s families? Jon and Ray each find some acceptance with the other’s family. Discuss how this happened and why it makes sense. What does running come to mean to Jon? Does it mean something different at the beginning of the novel than it does at the end? In the final chapter, Jon says, “I thought about him over the years. Wondered, sometimes, if it could have all played differently. If we’d lost, maybe, before we started” (279). Discuss the ending of the novel. Do you think that Jon, Ray, and Karen were doomed from the start? In what ways will the characters escape Brewster, and in what ways will it never truly leave them? Do you feel that your own hometown has left an imprint on you?